Some titles available for home viewing and streaming starting Sunday, Aug. 12. 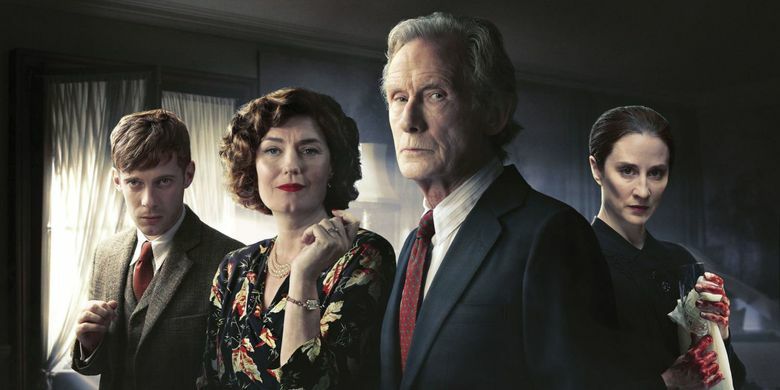 “Ordeal by Innocence,” a three-part murder mystery based on the Agatha Christie novel, stars Anna Chancellor as a wealthy philanthropist and murder victim — and Bill Nighy, Matthew Goode and Alice Eve in the cast of suspects. The British production debuts in the U.S. on Amazon Prime Video. In the romantic heartwarmer “The Guernsey Literary and Potato Peel Pie Society” (2018, not rated), Lily James plays a young author in post-World War II England who finds an eccentric community and a mystery in the Channel Islands. It comes to Netflix from British theaters. Shia LaBeouf is perfectly cast as brash American tennis player John McEnroe in “Borg vs McEnroe” (2017, R), a drama about the rivalry between the two young athletes at Wimbleton in 1980. It’s streaming on Hulu (delayed from July). Orson Welles’ brilliant “Touch of Evil” (1958/1998, PG-13), starring Charlton Heston and Janet Leigh, is a grimy, baroque film noir set on the U.S./Mexico border. Netflix presents the revised version re-edited according to Welles’ instructions. “The Rider” (2017, R), a personal, intimate drama about a Native American rodeo rider (Brady Jandreau) at a crossroads after a debilitating fall, draws its fictional story from the lives of its cast of non-actors. Also on disc and at Redbox. Plus: back-to-school comedy “Life of the Party” (2018, PG-13) with Melissa McCarthy; thriller “Breaking In” (2018, PG-13) with Gabriel Union; British drama “On Chesil Beach” (20187, R) with Saoirse Ronan; and horror film “Revenge” (France, 2017, R, with subtitles). Family sitcom “All About the Washingtons: Season 1” stars hip-hop icon Rev. Run and his real-life wife, Justine, playing fictionalized version of themselves. Ralph Fiennes stars as a dispassionate British diplomat who uncovers a conspiracy in “The Constant Gardener” (2005, R), based on the novel by John Le Carré. The romantic drama “Keep the Change” (2018, not rated) is a warmhearted story of two lonely people with autism played by autistic actors. Newly arrived classics include the comedies “Monkey Business” (1931) with the Marx Brothers and “The Awful Truth” (1937) with Cary Grant and Irene Dunne, and cult horror film “Island of Lost Souls” (1932) with Charles Laughton. Kenneth Branagh directs and stars in “Murder on the Orient Express” (2017, PG-13) as Agatha Christie’s Hercule Poirot investigating a star-studded cast of suspects.